That is how Jaspreet, a recent graduate of the ParliaMentors programme, describes himself. 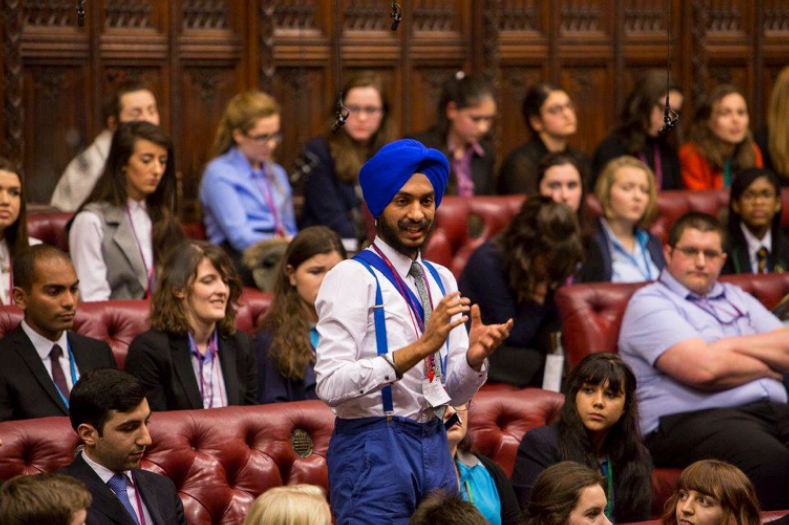 For Jaspreet, ParliaMentors was an opportunity to push himself and really enabled him to think of himself as a role model for others. Through ParliaMentors, Jaspreet’s achievements were only just beginning. He was delighted to be elected as Vice President for Student Experience in the Birmingham City University Student Union elections in 2016, and has recently been elected as the Student Union President for 2017-18 – the first international student to hold this position. Participants on the ParliaMentors programme gain political access that they may never gain otherwise; to help us make this available for more students across the country, please consider making a donation to the Faith & Belief Forum.